examine – [ig-zam-in] to inspect or scrutinize carefully: to examine a prospective purchase. determine – [dih-tur-min] to settle or decide by an authoritative or conclusive decision. famine –[fam-in] extreme and general scarcity of food, as in a large geographical area. Got one minute to improve your English? 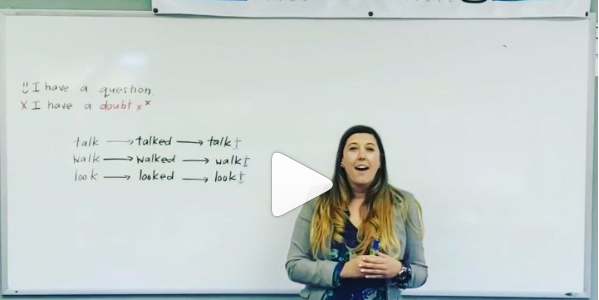 Teacher Renee at the La Jolla-UTC campus of #ConnectEnglish wants to give you two tips on how to ask questions and on #pronunciation. These are especially important for our Brazilian students, so pay attention to pick up some new skills for free! 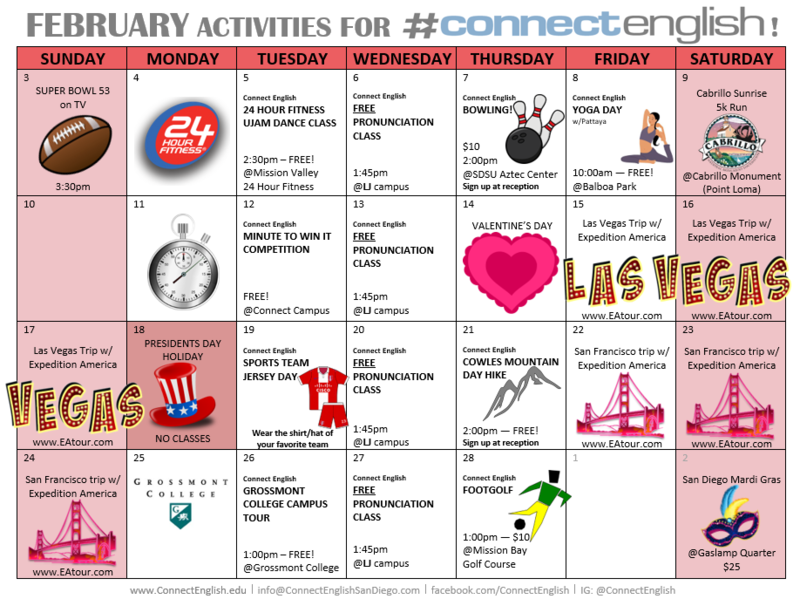 As always, the Connect English team put together amazing activities for this month. Choose which one you like and sign up at the front desk!